It’s a copy-and-paste world out there, and keeping your music, poems, product descriptions, and blog posts secure can be a full-time job. It’s easier for someone to infringe on your rights than ever before—so what’s a busy professional to do? Let’s look at how to send a cease and desist letter so that you can take control of your intellectual property. Then, familiarize yourself with the Cease and Desist letter. 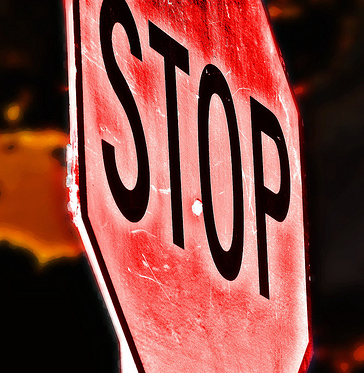 Stop copyright infringement with a Cease and Desist letter! A Cease and Desist letter is a formal notice to the party infringing on your copyright, letting them know that you’re aware of it and you’re prepared to protect your intellectual property rights in court if they don’t stop it. Sometimes, all it takes to stop someone from using your material without permission is letting them know that you know about the infraction—in some cases, the person using your material may not even realize he or she is committing copyright infringement! Before an expensive lawsuit, consider sending a Cease and Desist letter. It’s easy to put together, cheap to send, and can be quite effective!